Everything is getting simplified and accessible in order to provide hassle free working environment. This is getting possible only due to regular digital evolution, mobile applications play a vital role in this picture. If we look out to the latest mobile app technology news, app technology day by day alluring the more users due to stupendous benefits. Dropbox also updated its app in order to enhance the user experience. 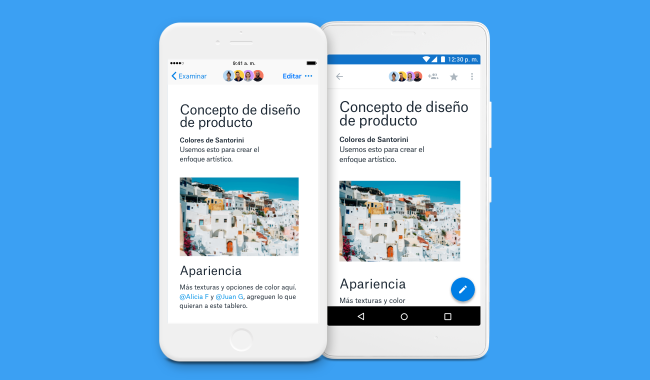 Dropbox released its new update for the app along with the offline editing feature. Dropbox is known for cloud storing app with online documentation functionality. Dropbox paper is used by many companies and individual for official use to create, edit and maintain documents. With the new update, the user will be able to edit the document they have saved in services in offline mode. This new feature enables the user to edit, comment on or even create a new document in the paper service when they are offline.The changes did in offline mode will automatically sync to the paper when the reconnected to the internet. Dropbox released this feature only for the mobile application, not for the web app. The update is available for the Android and iOS user. The company is aiming to the mobile app first with this new functionality instead of web app version of the paper. As the user asking for this offline editing feature especially for the mobile app, they responded with the application update only. Soon this feature will also be available for the users to operate on their PC and Mac. The company is trying to make the product more interactive and appealing to the user. These steps are on the way to improve the productivity of the app so a user can utilize as much as they can. With this feature, they don't need to worry about their documents editing while in planes or walking through the subway. In addition to this offline mode, Dropbox also added new 20 languages to the service for the user. As per the demand of the users, the company also updates its language support list by adding 20 more languages. Now users can select languages from Malay, Indonesian, German and Russian too. The company also planning to bring the feature of scanning of physical documents for Android users. This feature is added to iOS last year by the company now they are ready to give it to the Android OS. This will allow the user to scan papers directly to the cloud and crop, edit or rotate the text. The user can also scan multiple physical papers to one single file. This feature will relief the user from the pain of not able to work on a document with no internet access. This is also the example of offline service of the mobile application which proves how cardinal they are for us today.